Online exam software is one of the features of school software to conduct practice exam for a student through a cloud-based system. It can be accessed by a student from anywhere on any device and thus makes it easier for them to attend according to their free time. 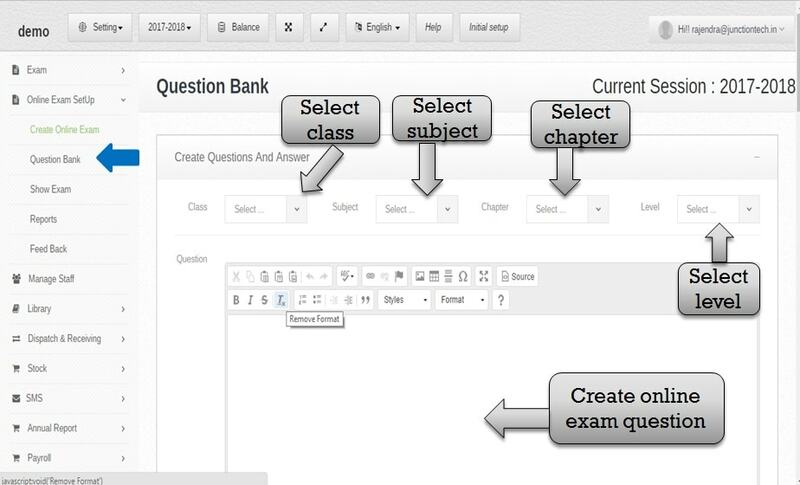 It provides a feature to set an exam for a particular class, subject and topic. 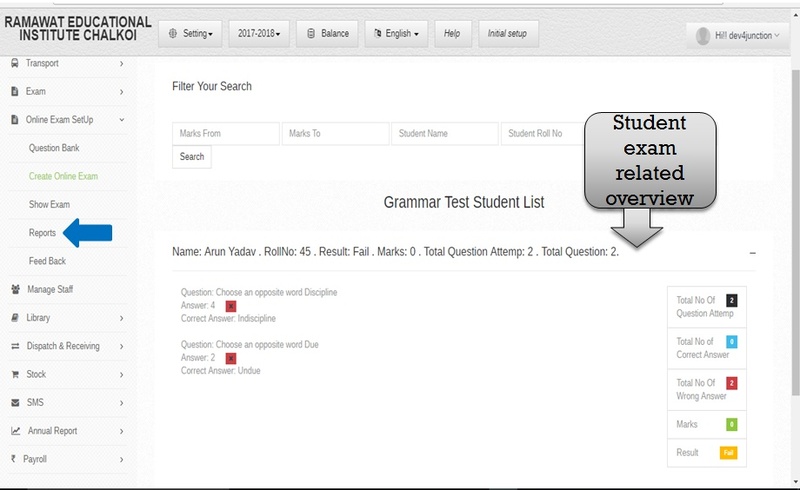 It gives teachers an ability to set a duration for an exam as well set its visibility duration for a student for a particular time limit. This makes a student more dedicated towards their studies. 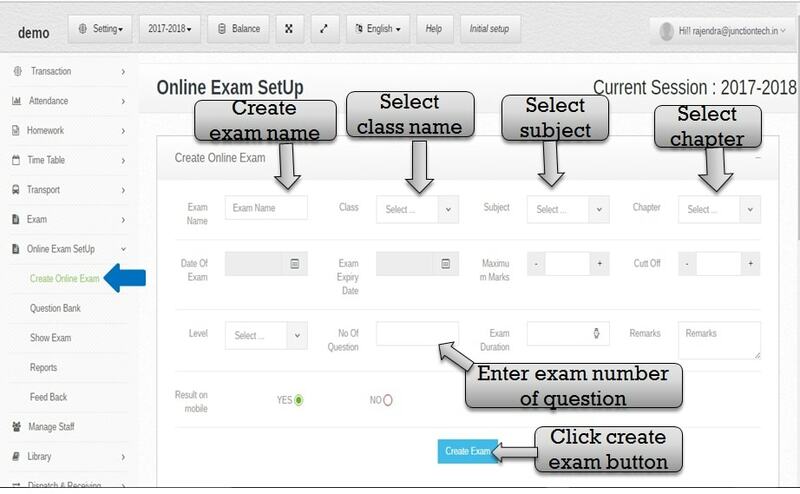 Step:1st – In online exam software create student exam setup then you have to select online exam setup then create student exam setup please select class name , exam type , subject , chapter etc . 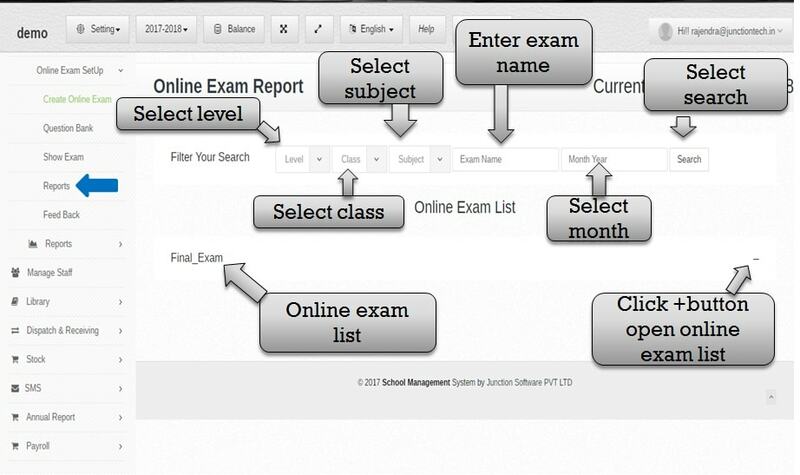 Step:2nd – In online exam software add new class for student online exam setup click setting button and select manage class then add new class in school. 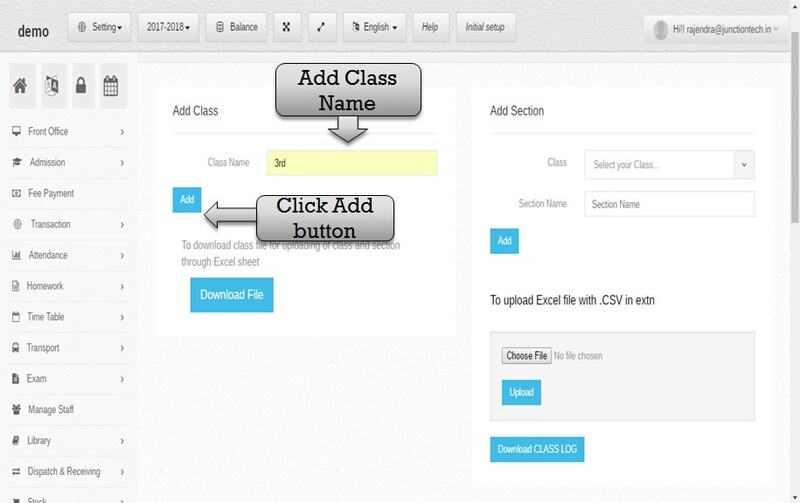 step:3 Enter class name in input type box and click add button so class add in successfully to school. 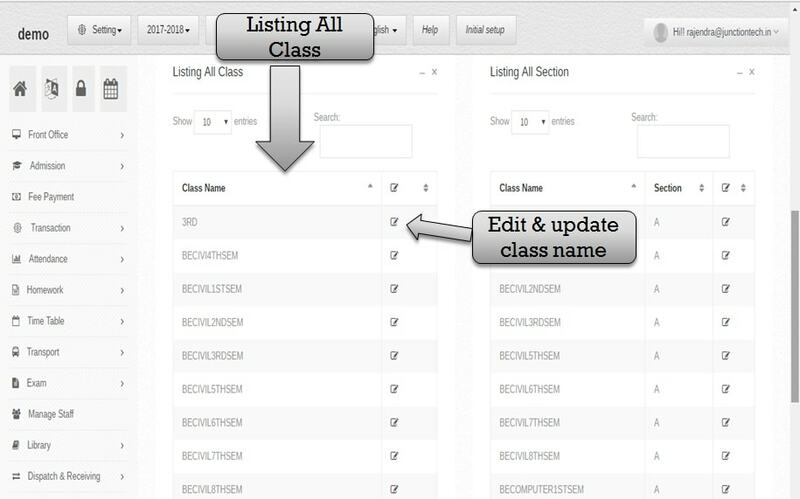 Step:4th In online exam software listing all class name if in case you have to change class name then click edit button then change class name . 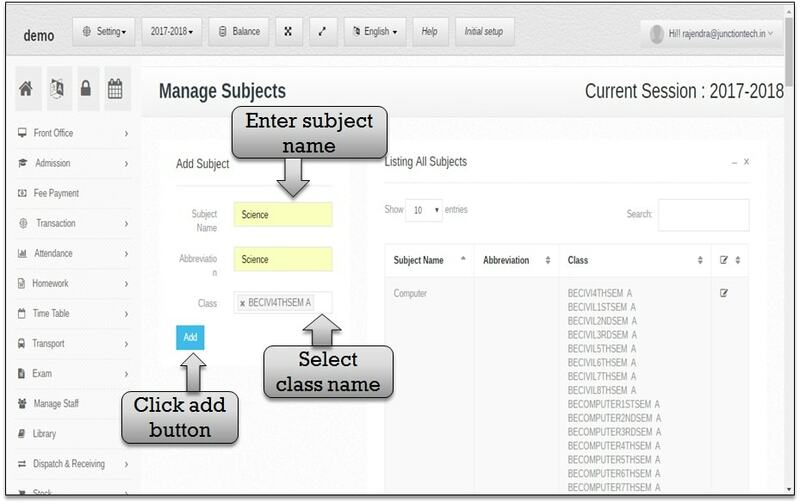 Step:5th Add new subject in school so please click setting button and select manage subject option then add new subject in school list. 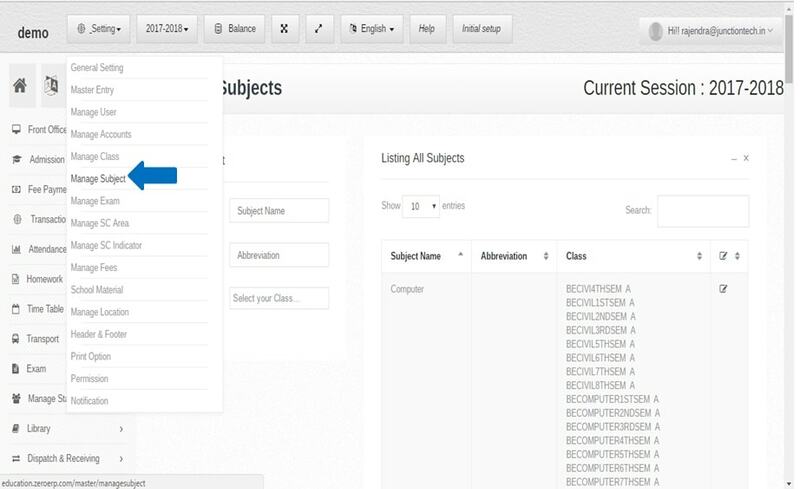 step:6th Add new subject please enter subject name in input type box then select class name and click add button subject add in school list successfully . 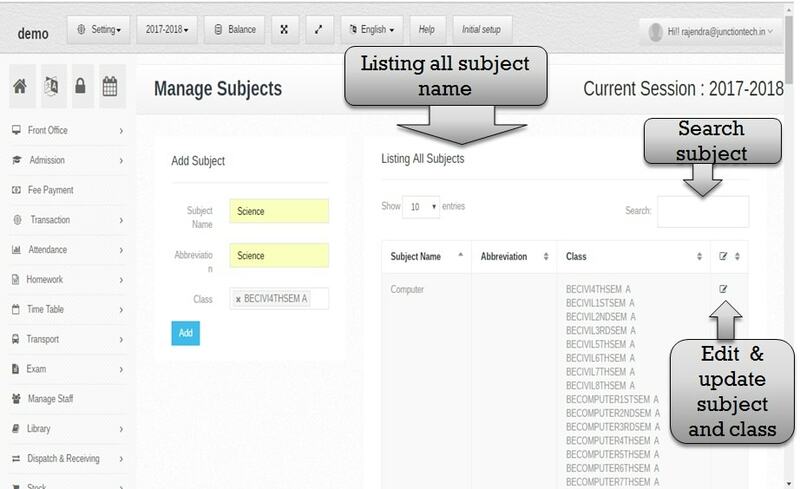 step:7th Listing all subject name if in case you have to change subject name please click edit button then change subject name and update successfully . 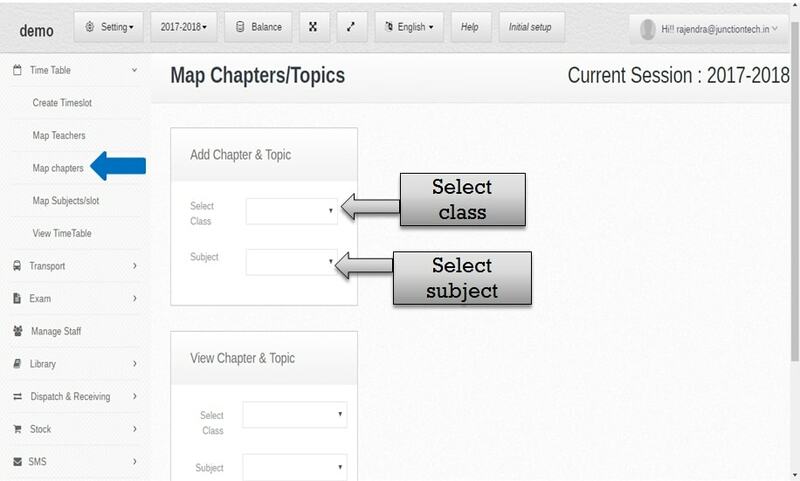 step:8th Add chapter and topic in school please select time table module and click map chapter option select class name and subject name . 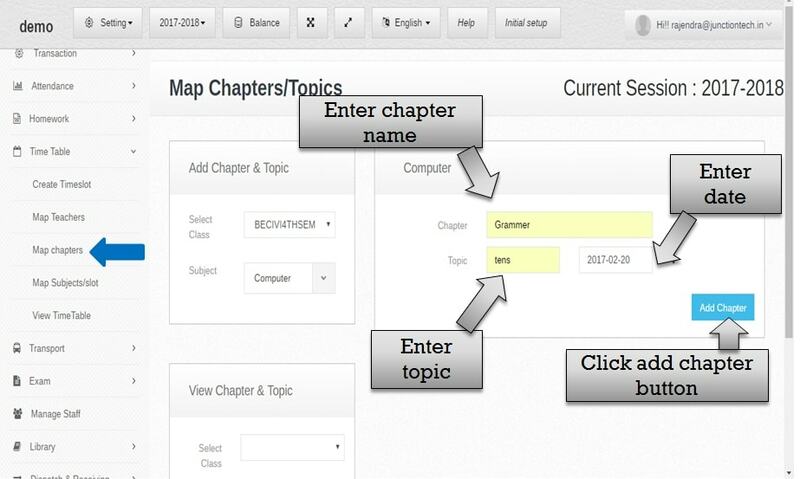 step:9th Enter chapter name and topic name then click add chapter button . chapter and topic successfully listing in school list . 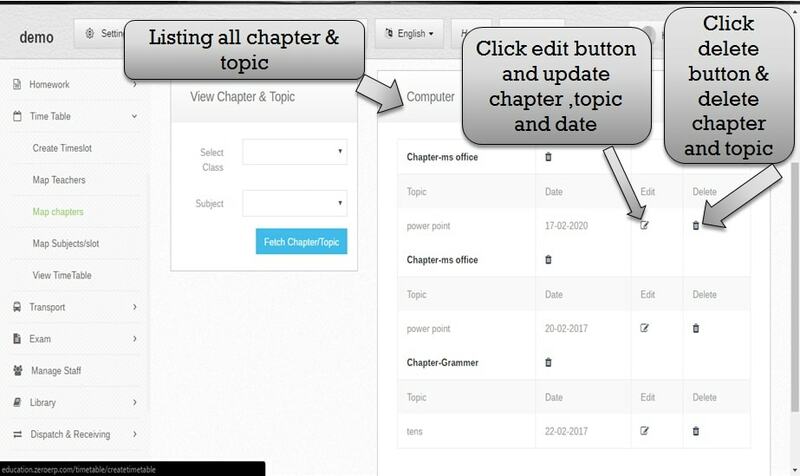 step:10th Please select class name and subject name and click fetch chapter button then all chapter name and topic name display successfully. step:11th Create online Exam setup for school exam please select exam type , class name , subject name , chapter name , date of exam and enter number of question . 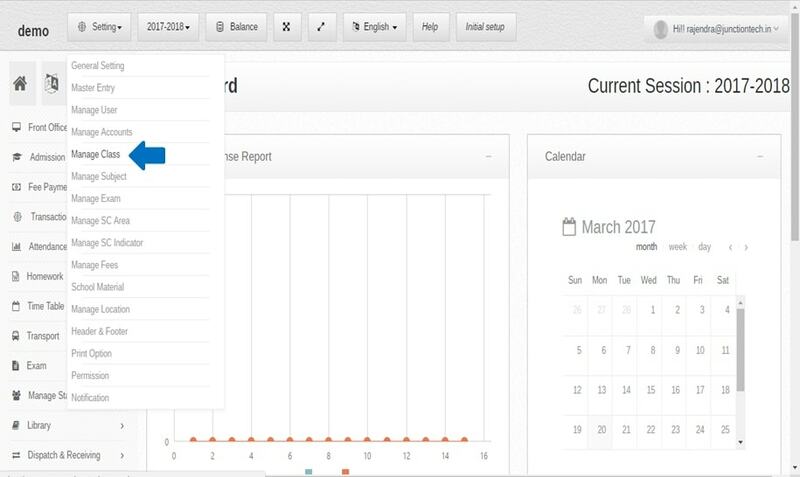 online exam setup created successfully for school exam . 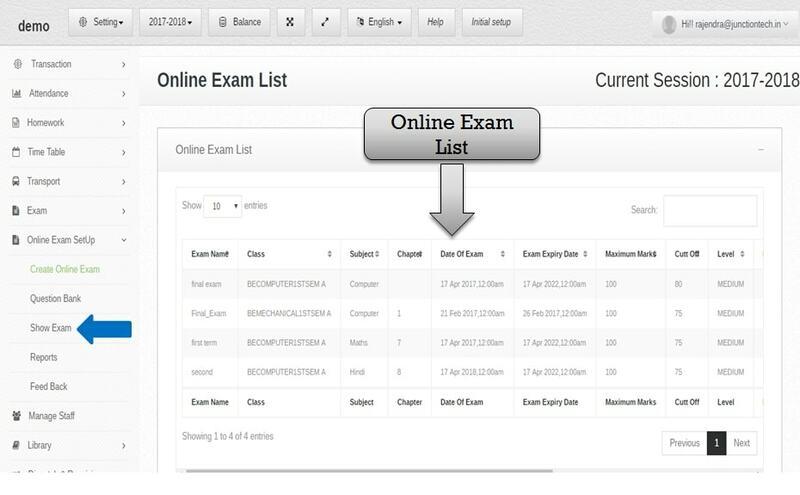 step:12th Listing all online exam list then search any online question list so please enter exam value in search then click enter button . step:13th Create Question for online exam setup so please select class name ,subject name ,chapter name , and exam level . 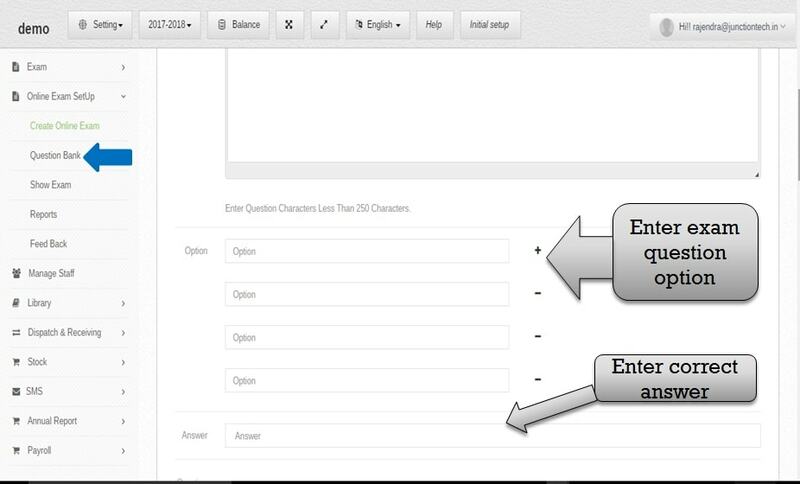 please enter question for online exam setup. step:14th Create option for exam and enter one correct answer for exam question . 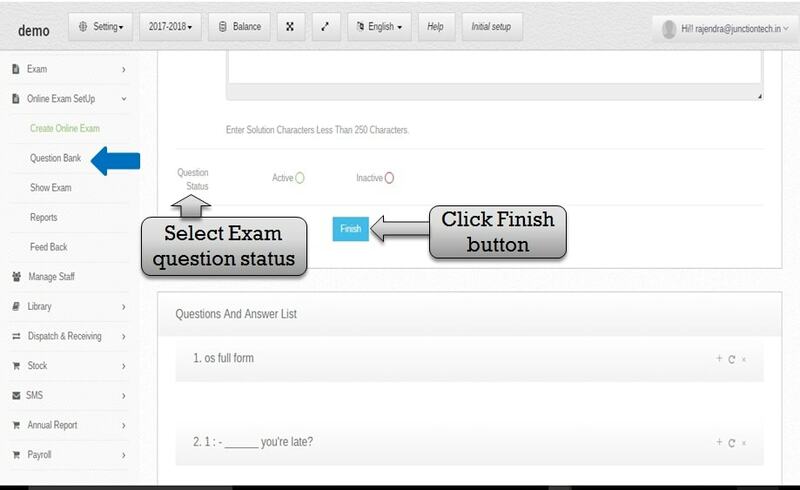 step:15th Select online exam question status and click finish button . step:16th Select question bank option then check exam question and answer list . if in case you have to edit and update exam question please click refresh button edit exam question and update . click cross button then exam question and answer delete successfully . 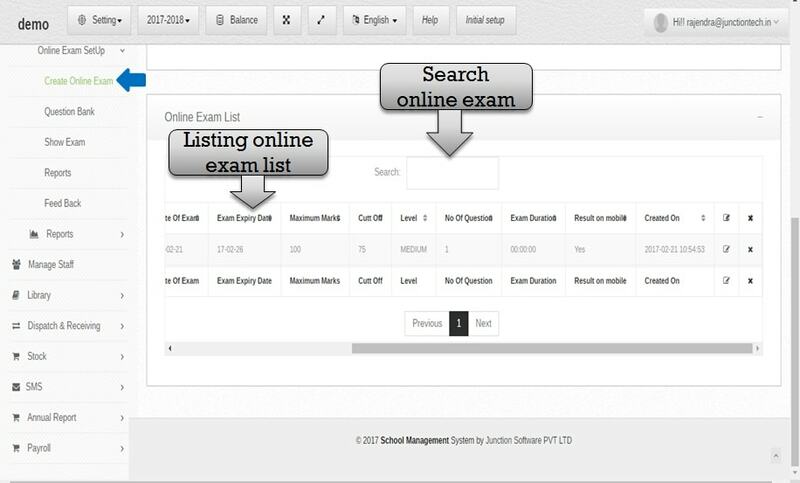 step:17th Click show exam option then listing all online exam list . step:18th Select reports option then filter online exam list please select level ,class ,subject ,enter exam name and select month then click search button . step:19th All exam list showing . 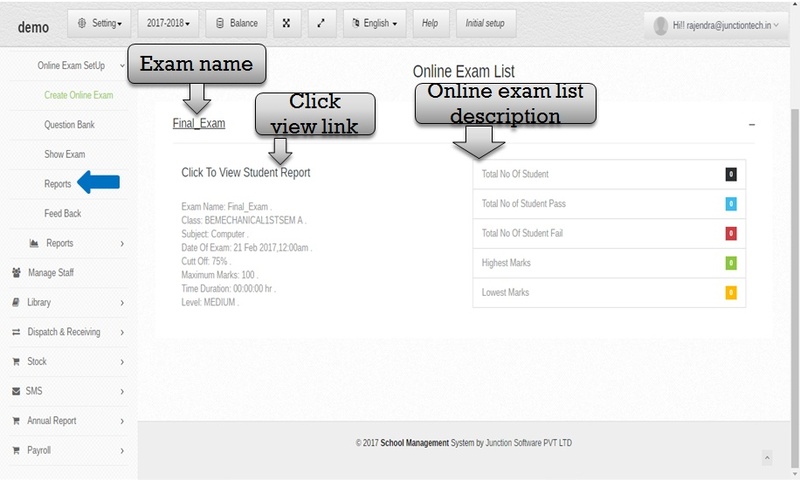 Click - button and showing all detail about exam then for example exam name , class name ,subject name and exam date etc . you have to see student information please click view student report link . step:20th student name , roll number , result ,exam marks view all detail .please click student name link then view exam question and correct answer . view more detail about student exam related .